Order and Free Technical Help - 01626 331351 - discuss your Tanking job with a Qualified Dampness Expert (C.R.D.S.) We will help you to choose the correct Tanking product and give you detailed help. Professional & DIY - cement based - easy to apply, just add water, BBA Certificate. Brush Tanking Slurry onto a damp surface with a brush, second coat brushed at 90 degrees. 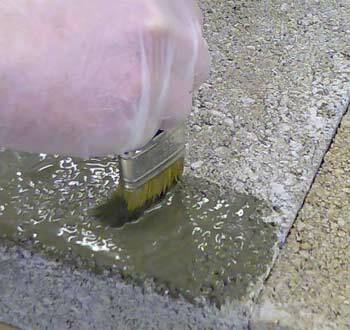 How to calculate use - allow 8-10 square metres per coat per 25kgs, 3-4 sq.m for two coats. Limitations - not suitable to apply to surfaces that have water actively weeping or running through them at the time of coating. Note - if you have running water or weeping requires relief holes and/or a sump, in order to allow the Tanking Slurry to fully cure with no risk of damage. For small holes or weeps use our Rapid Plug material, before Tanking. You will need to cut out the joint around the floor up against the wall. This can then be filled with a waterproof mortar - Fillet Seal. Note - when installing a Damp Proof Course, which should be positioned at least 6 inches (150mm) above outside ground level, you may need to apply Tanking Slurry to any area inside the building where the new damp course will be above floor level. 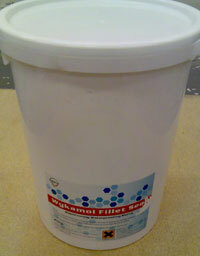 This avoids dampness behind the plaster and skirting boards causing damage. 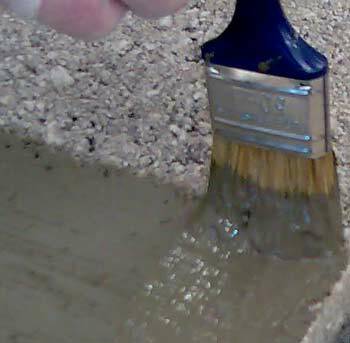 If you are finishing down to a solid (concrete) floor you will need to rake out the floor to wall joint and fill with a waterproof grout made of BondAcryl and sand/cement mix at 4:1. This will seal the high vapour pressure area and should join with the under floor membrane (usually plastic) and the new Tanking Slurry wall membrane. Use any of our Shopping Pages to place goods in your Shopping Basket - they all use the same Shopping Cart system. or continue shopping by clicking on one of our Shops below.